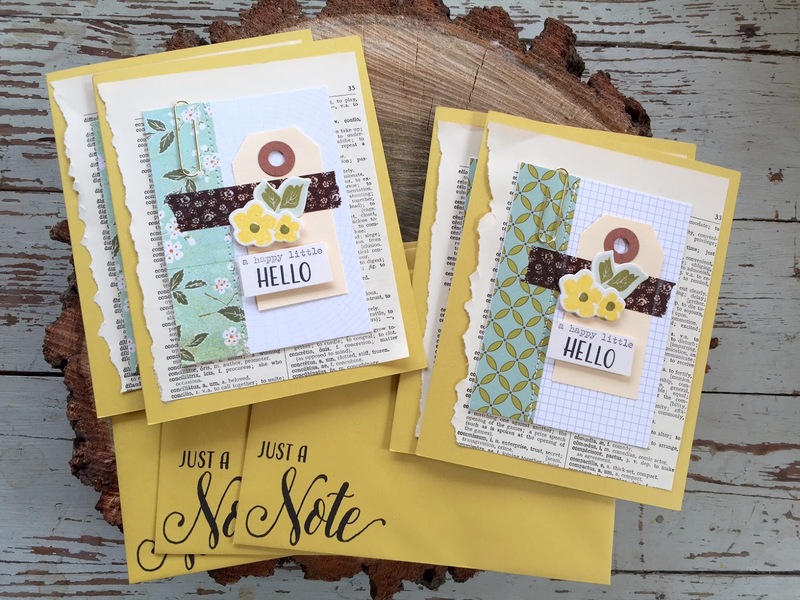 I'm sharing more cards today made from the Papertrey Ink Don't Forget To Write Kit. I spent some time die cutting and stamping flowers, stamping a sentiment then adding typed words with my vintage typewriter and selecting papers and envelopes. 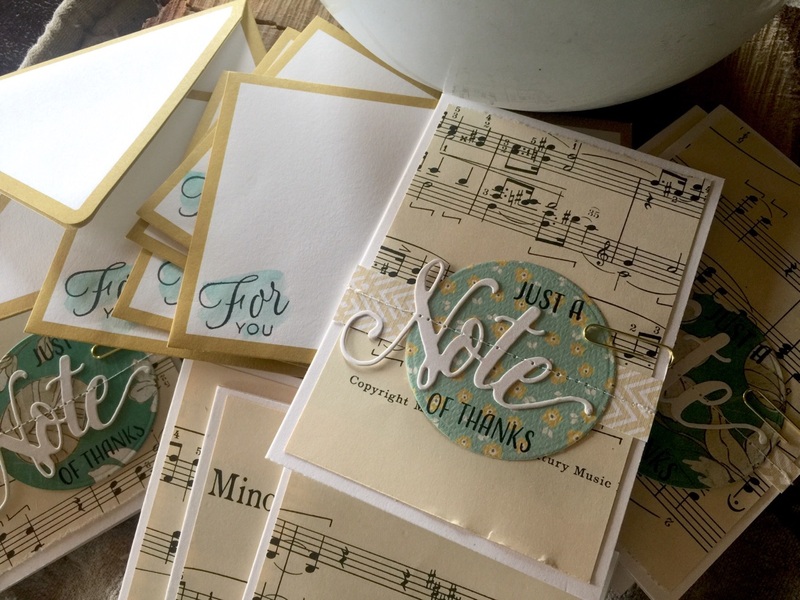 I ended up with a fun little set of generic greeting cards, perfect for any occasion. My favorite colors too. 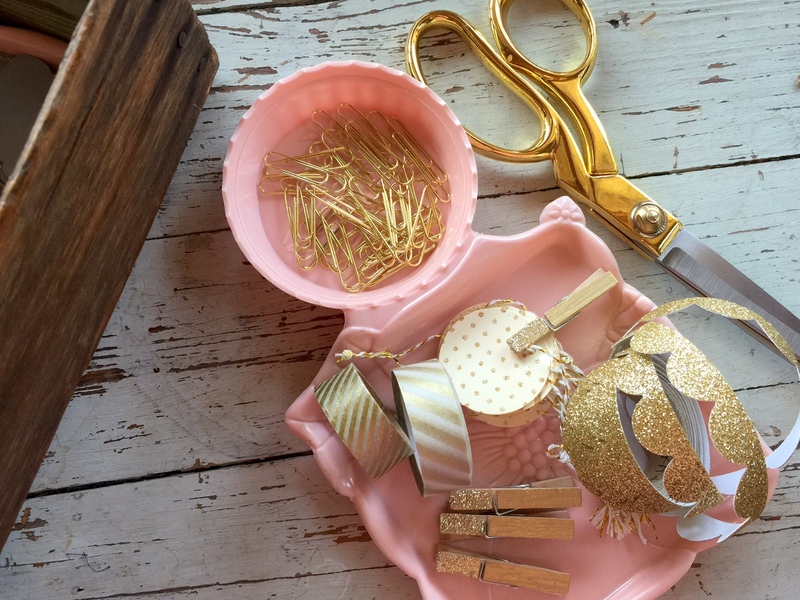 Fun details added like machine stitching, the gold paperclip and Washi tape. Old dictionary paper was used for the background. Card sets are from Paper Source. 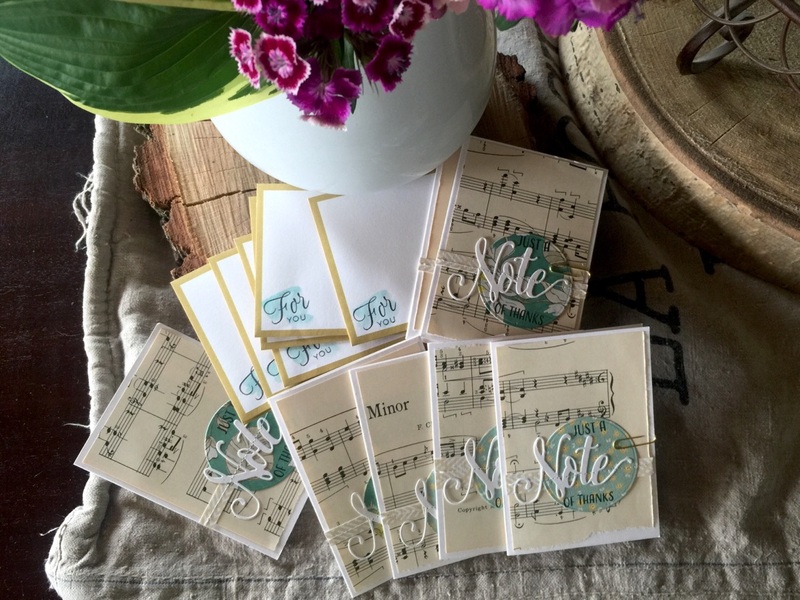 A hand stamped envelope makes receiving a card in the mail just that much more special. In my previous post, I shared a card making station that I set up. Here's my first batch of note cards. I usually mass produce when I get out my supplies because it's just as easy to take a little more time to stamp a mess of cards rather than just one at a time. Vintage music paper in the background. 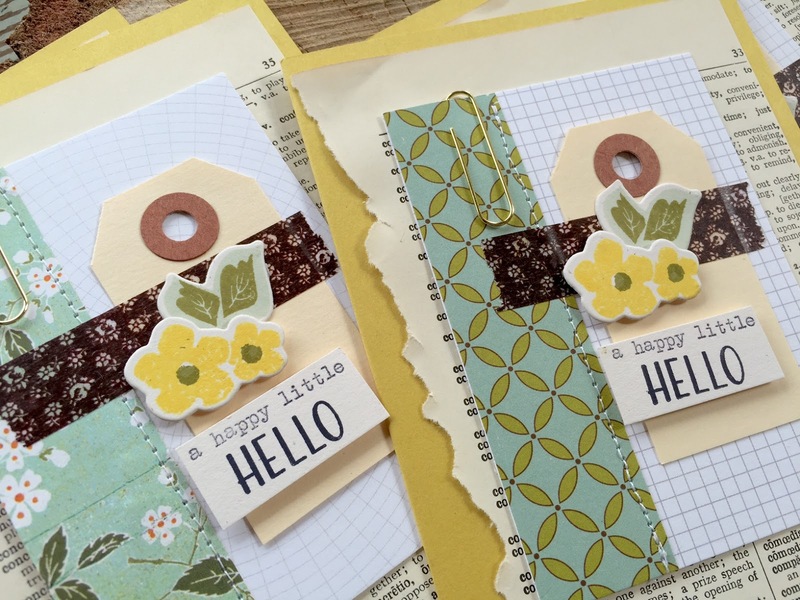 Die cuts, stamping, stitching and a paperclip to finish off the fronts. On the envelopes, I stamped a sentiment then added a splash of watercolor to coordinate with the card fronts. More to come, stay tuned. 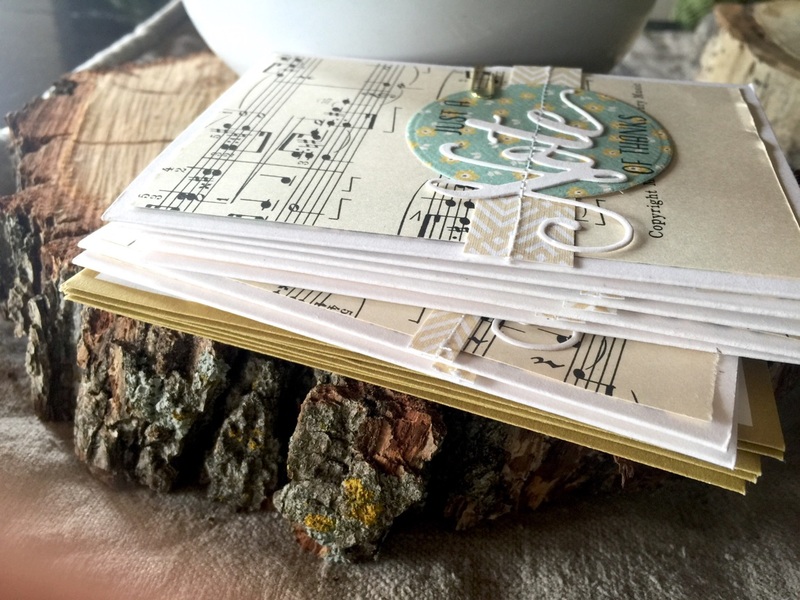 What have you been creating lately? Long time no blog, friends. It's been a very busy month around here with Mother's Day, graduations, birthdays, end of school activities, softball, etc. I made it over the hump and finally took some time to do something just for me. After spending way too much money of store bought cards recently I decided to take some time to set up a card making station. 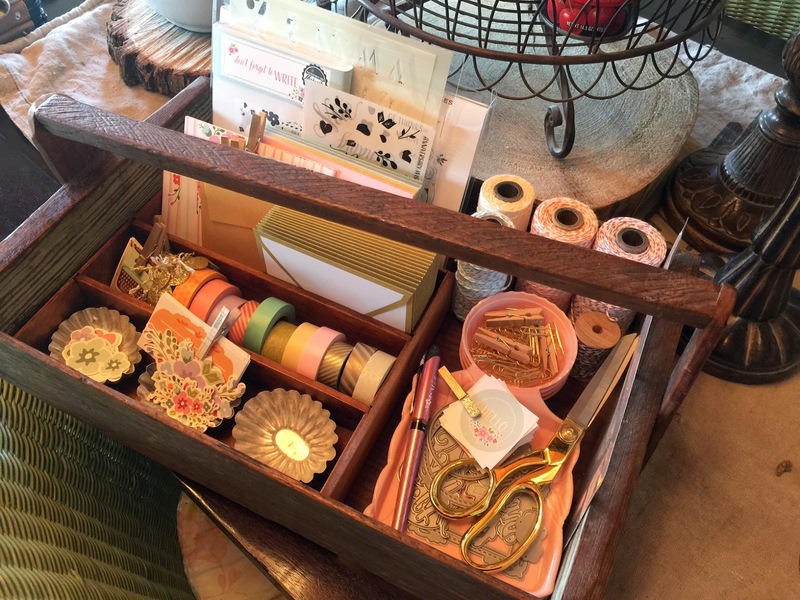 It's one of my favorite things to do.....just gather up stamps, papers, washi tape, embellishments and more and organize them all in a vintage basket. 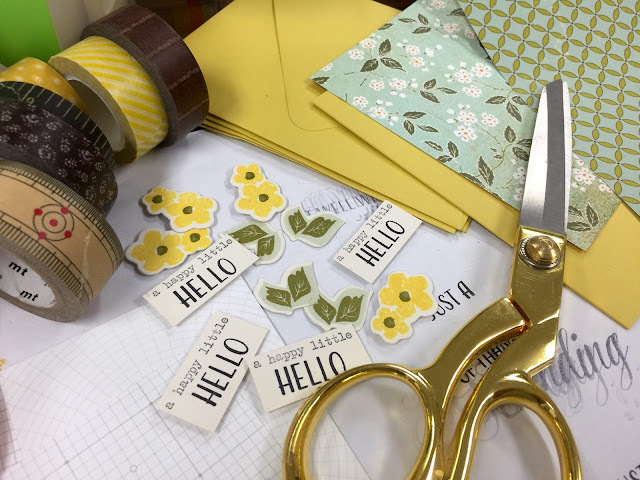 The perfect little set up to help create some hand made cards. The main stamp set I'm using is from a kit designed by Betsy Veldman from Papertrey. 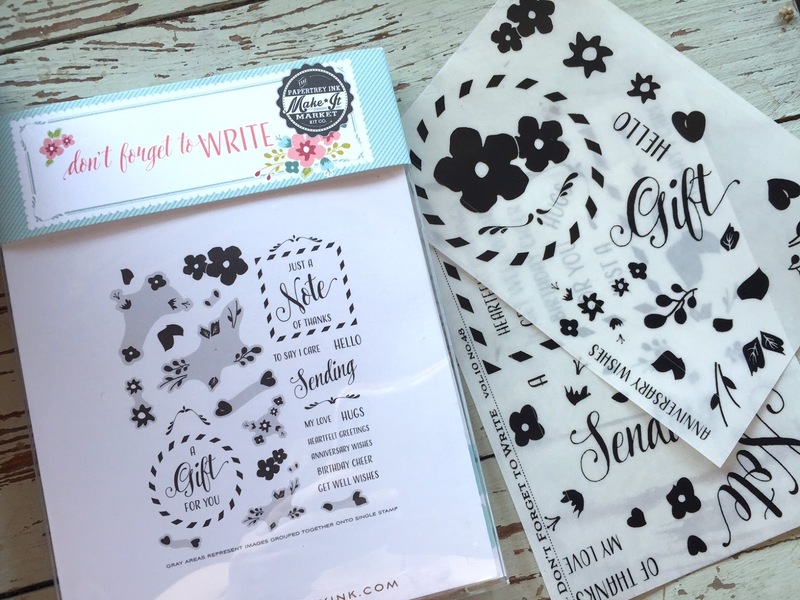 She has been knocking it out of the ballpark with her fun designs. 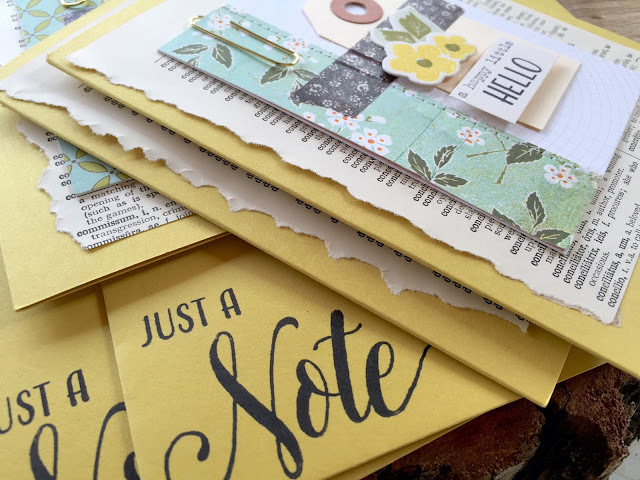 Below is the stamp set that came with the kit but that's just a little bit of the kit...there are dies, stickers, envelopes and much to play with. 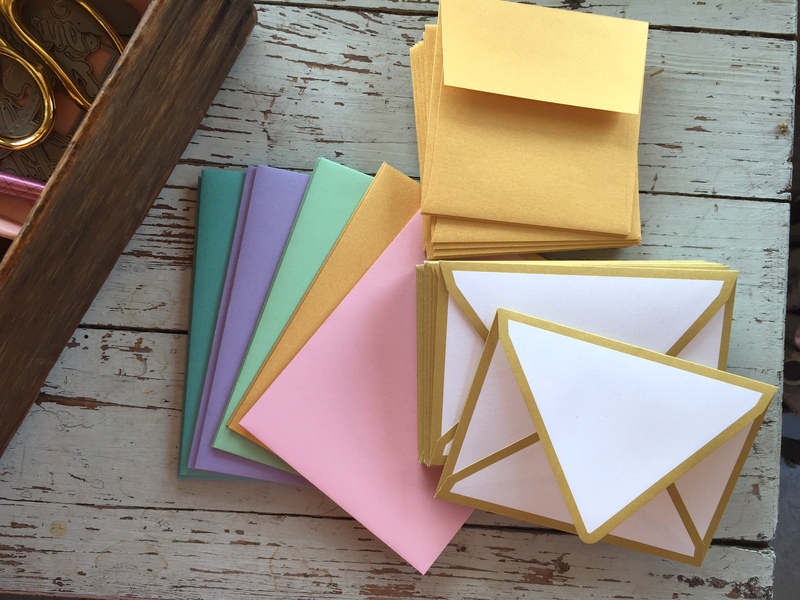 I love colored envelopes and these are the ones that came with the kit. I also have a huge stash of some fun colors from Paper Source and a few other places that I'll dig into also. Still loving gold accents so I fished a few things out of my stash. 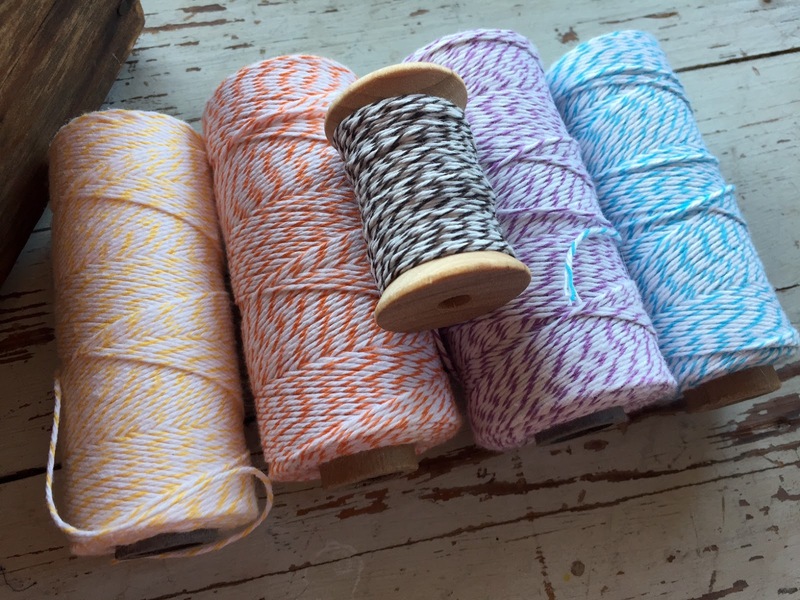 Baker's twine to coordinate with the colors in the kit. All tucked into some vintage wood storage boxes. 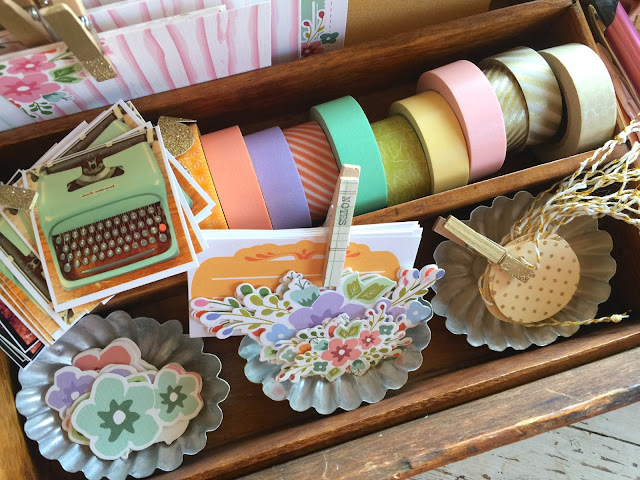 Those typewriter mini Instagrams are from my shop here. Stay tuned, I've been made a list of cards I'd like to have on hand and I'll be sharing some designs soon. You can also see previews on my Instagram account. I'm MishWooderson over there.